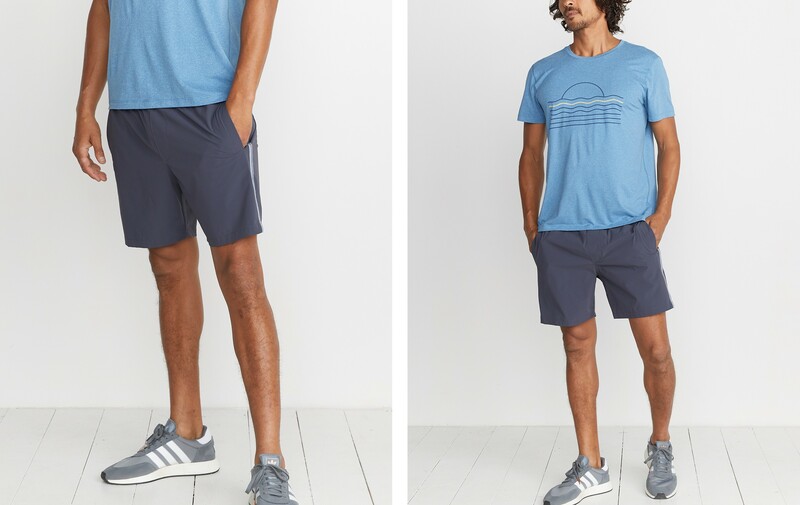 Made with full-dull Nylon thread for a matte finish, these are not the swishy shorts in the bottom of your drawer. 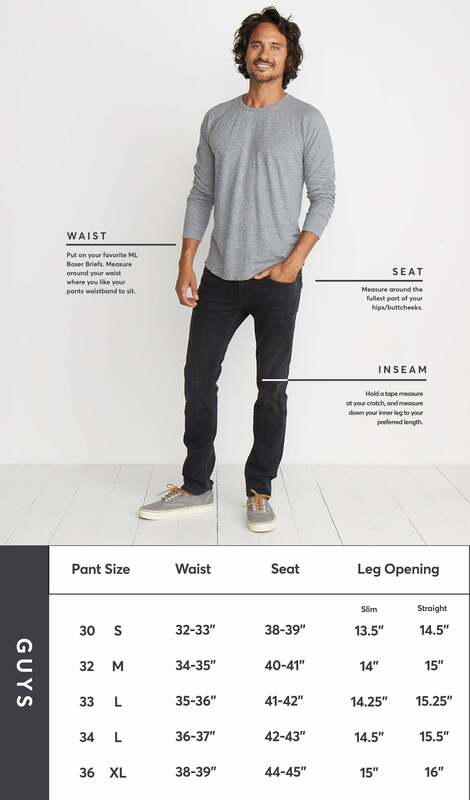 They have a little spandex and mesh lining to keep everything...ahem...in place. 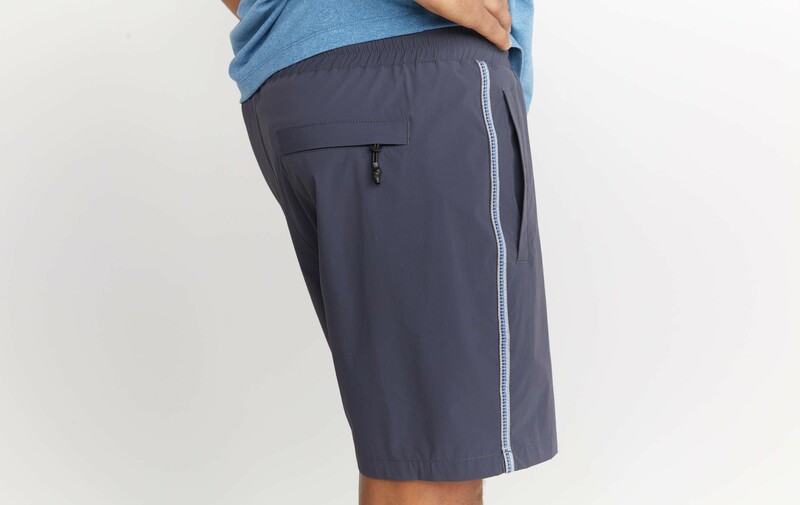 Bonuses: back pocket zipper with a key loop and custom-designed tape at the seams. 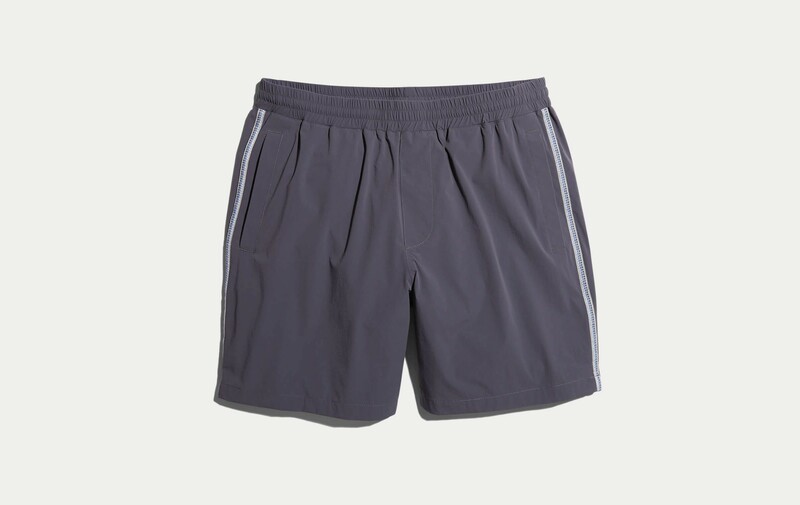 Full-dull nylon with a hint of spandex makes this a thin, flexible, casually sporty short that will keep you dry even if you sweat profusely (or spill water on them...).